This majestic castle is set within 35 acres of spectacular gardens and perfect parkland that are just waiting to be explored. 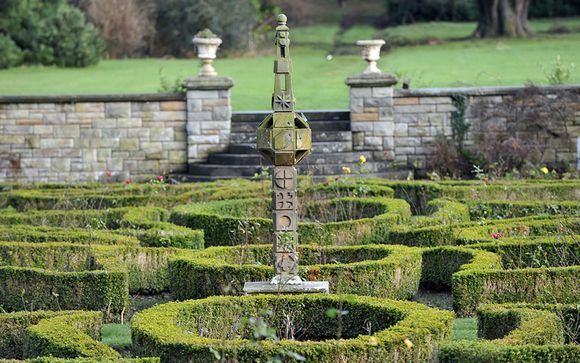 The beautiful Rose Garden, which was kindly donated to Lady Elphinstone by Queen Victoria, is ideal to view the stunning grounds and enjoy the crisp, Scottish air. With paths through and around the garden and benches dotted throughout the garden is excellent for some time to enjoy the scenery. Perfect for picnics the Rose Garden is definitely an area of the tower that cannot be missed. If you can manage to pull yourself away from this stunning property then there is plenty of things that you can do in the surrounding areas. 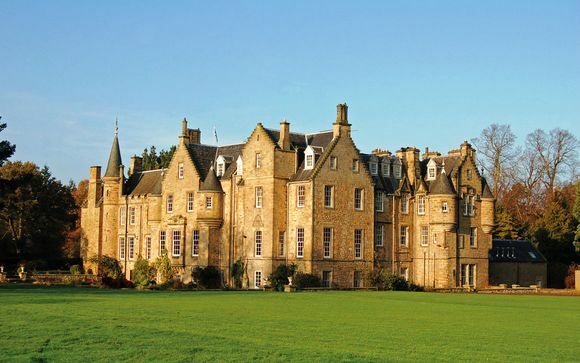 Carberry Tower lies just 15 minutes away from the vibrant city of Edinburgh but couldn't offer a more peaceful haven. Situated in 35 acres of landscaped and manicured parkland, the grounds of Carberry Tower offer scenic views and endless walks. 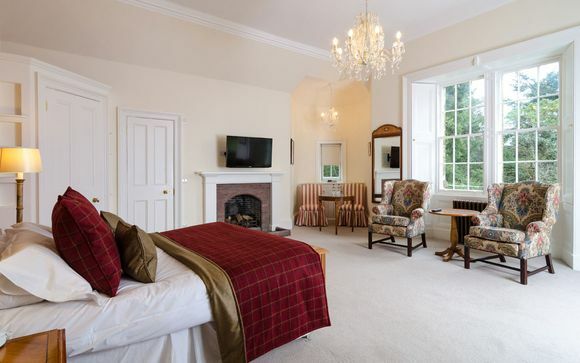 Carberry Tower is a wonderful castle hotel, set just outside of Edinburgh in the picturesque town of Musselburgh. Carberry Tower is the perfect venue for weddings, conferences, events, and short family breaks and has played host to many high-profile guests in the past. Dating back as far as the 15th century, Carberry Tower is steeped in a fascinating history, including playing host to Queen Elizabeth II. The historic venue offers all of the luxuries you would expect from a traditional Scottish Castle Hotel. Traditional features and original character, mixed with classical furnishings. The rooms throughout are full of period features, with ornate carvings and period fireplaces scattered throughout the Tower. Recently refurbished with a new bar, library and brand new bedroom suites, Carberry Tower is real hidden gem, just waiting to be discovered. Restaurant - At Carberry Tower fine dining and luxurious accommodation go hand in hand. A selection of seasonal menus are each crafted around the finest produce, all sourced locally from local farms and markets. Dine on 28 day matured Scotch beef and fresh lamb and pork from Ayrshire. Fresh fish including trout is sourced from Dunbar whilst shellfish including Lobster is delivered fresh from North Berwick. The Whisky Bar -The Whisky Bar at Carberry Tower is a small and cosy room with rich oak furnishings and club chairs which perfectly offer the comfort needed to enjoy a good, Scotch Whisky. It is the perfect hiding place for isolated relaxation with friends. Carberry Whisky Tasting Experience - You can’t visit Scotland without experiencing a good Scotch Whisky so why not partake in the Scotch Whisky Experience which takes place in the Tower. The Princess Elizabeth Lounge - With its wood panelled walls and wood floors the Princess Elizabeth Lounge is a relaxing and cosy room that looks out over the stunning grounds. With its comfortable chairs and a beautiful Grand Piano that is just waiting to be played this room is the perfect spot for meetings, conferences or relaxing with friends.